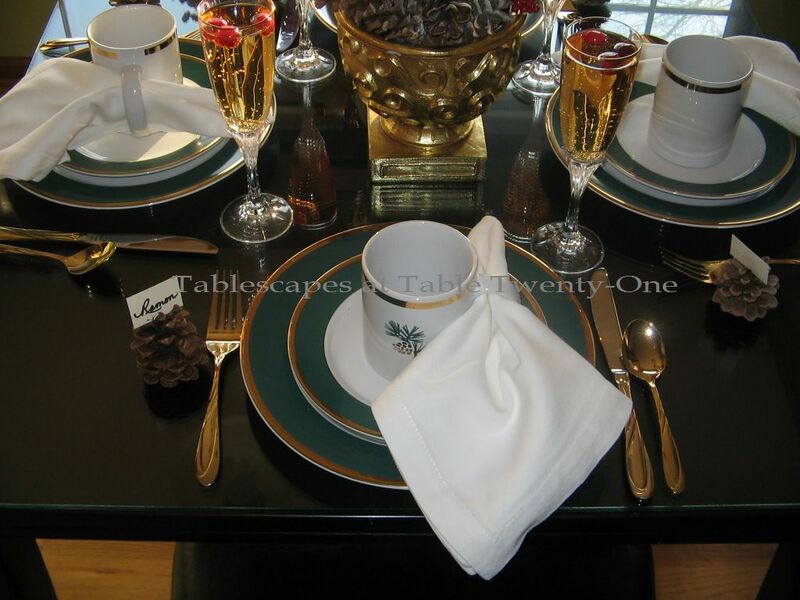 Oh my gosh…I love those pine cone plates!! Beautiful table, Alycia. I enjoyed seeing your FB photos of Christmas. Lots of happy times! What a beautiful table, Alycia!! Girl you have got to use those dishes all the time! They are gorgeous! I didn’t even know Eddie Bauer had a home line! Happy New Year! Unassuming? I think it looks pretty fancy. And what IS wrong with you — those are great dishes! I am stealing the idea of drawing the napkin through the cup handle — haven’t seen that one before. Omg, shame on you for not using those dishes more often! 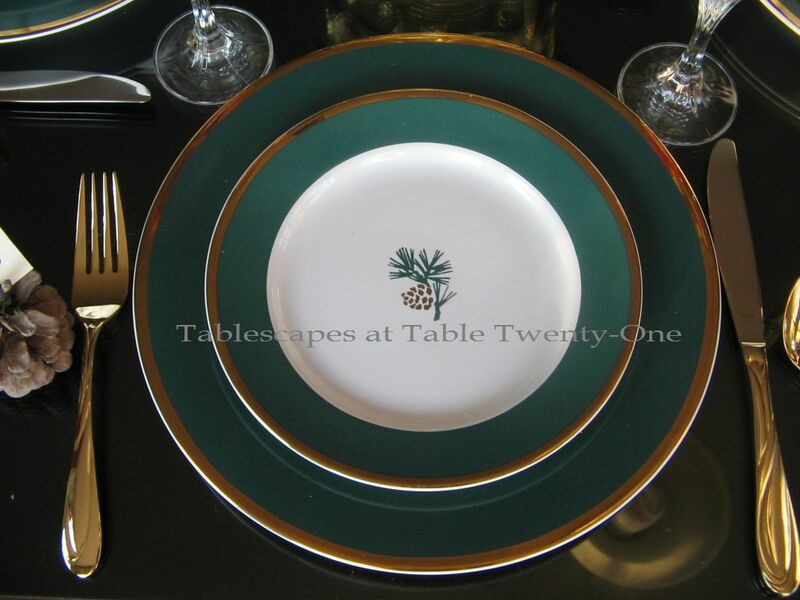 I love the color and the gold rim and that lone pinecone for sure! Great centerpiece. I think you couldn’t have chosen any better. 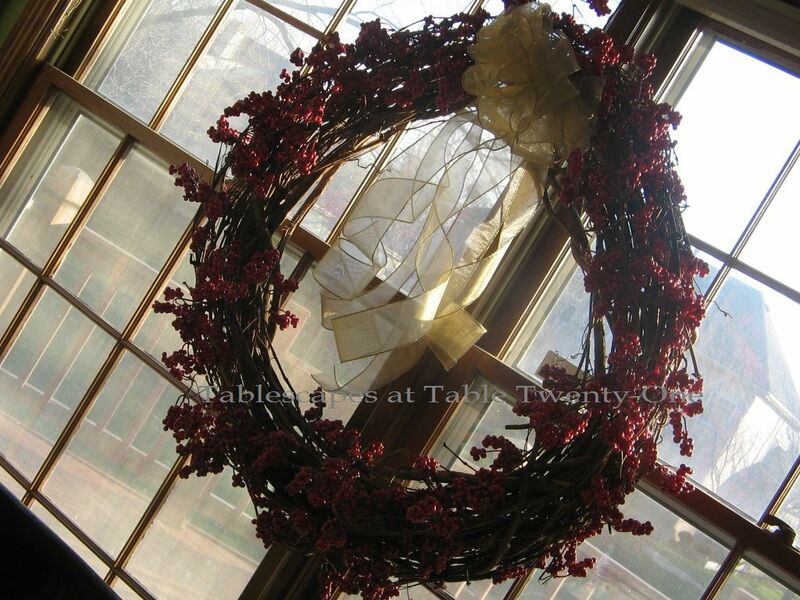 Love the cranberries in the sparkly.. what a perfect way to wake up! This table and good friends are the best way to awaken! Happy New Year to you and yours.. May the blessing come in droves! Beautiful brunch setting, Alycia! 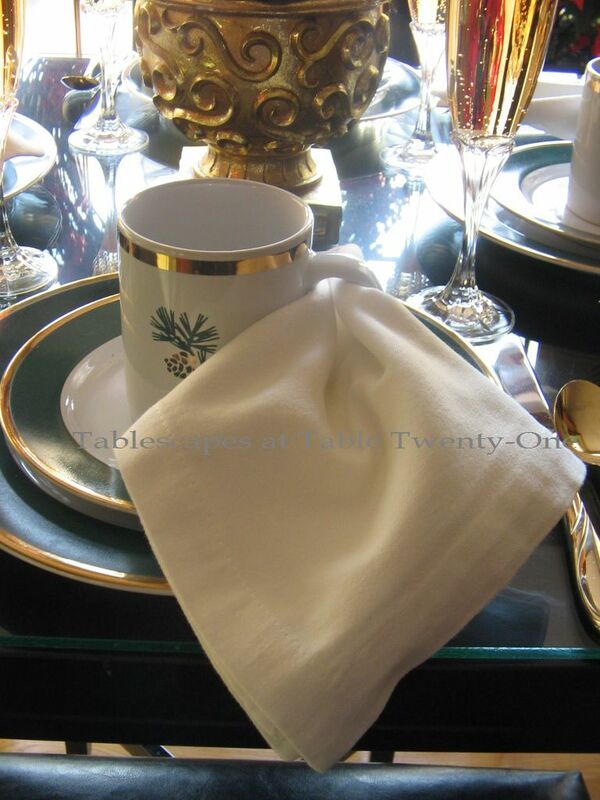 The pinecone dishes are really pretty. I do like the way you put the napkin through the mug handle. 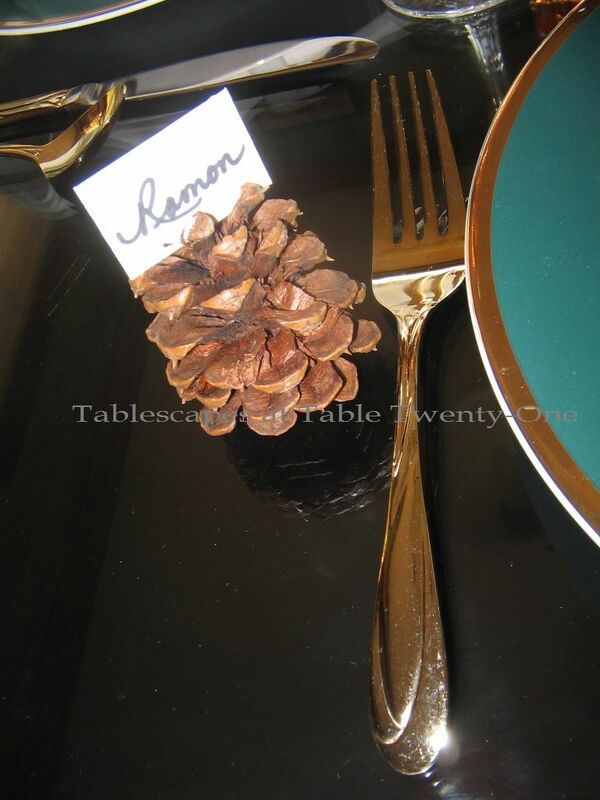 Love those sweet pinecone place cards, too. I bet you and your guests had a wonderful brunch! I love those Eddie Bauer dishes! 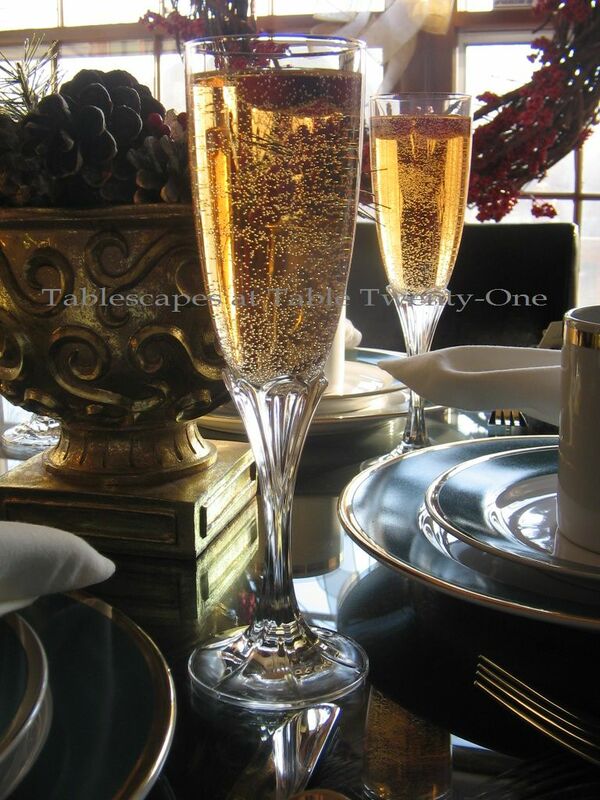 Looks like a perfect morning brunch setting and the bubbly makes it all the more engaging! Looks so filling! 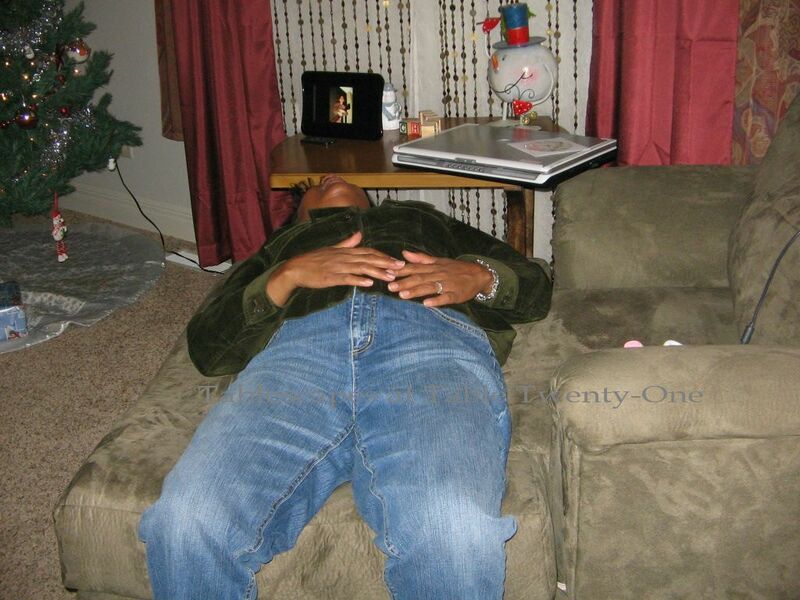 l love the photo of collapsing because of being too full! That is how I have felt all weekend! I totally agree with you about people trying to cram the politically correct junk down our throats, I just think it is funny with all of their posturing that they can’t take Christ out of Christmas even with all they are trying to do! Hope you have had a very Merry Christmas and I am more conscious to answer back with Merry Christmas if they say Happy Holidays to me! Lots of love!!!! You did good girl! Your table was beautiful. So festive and detailed. Love it! You did a Beautiful Christmas Tablescape sweet lady !! And your dishes are Gorgeous. XXOO Diane I lovely lady. Love you brunch table…who knew Eddie does dishes? Sorry that you got coal, surely it was an oversight on Santa’s part. 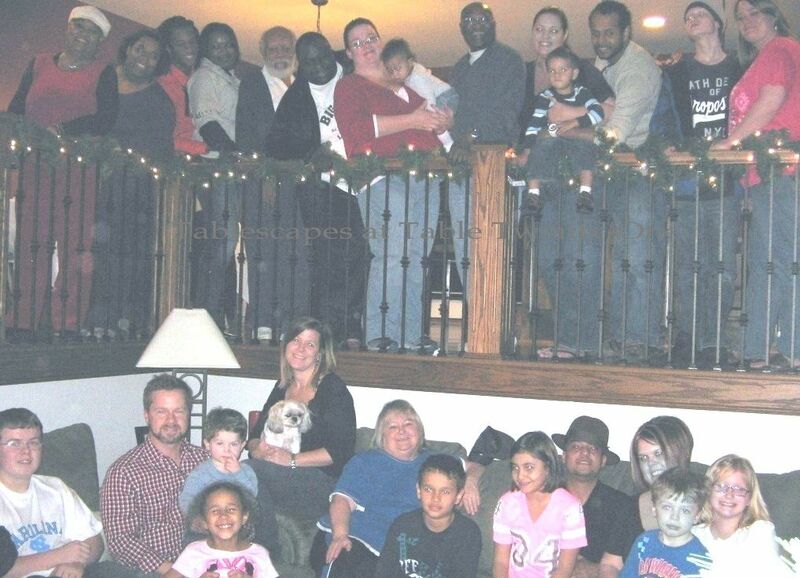 I love the photo that you all took at your son’s house. You guys look like a fun crowd! Hope you are recovering from all of that eating and gearing up to ring in the New Year! Clean lines against the shiny table – so elegant yet simple. Perfect for that morning-after brunch. 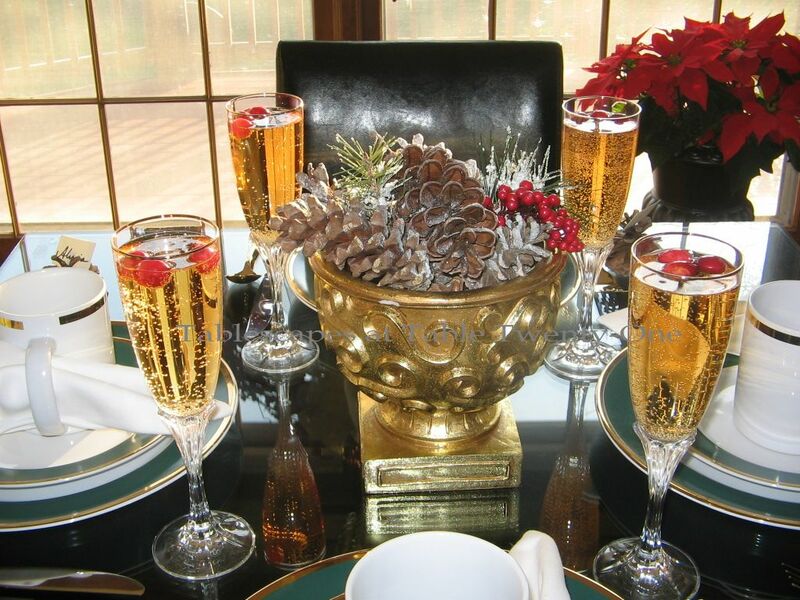 Love the Eddie Bauer pine cone dinnerware, and I’m really wanting a sip of that cranberry champagne cocktail! Love your family pics! How fun — WIshing you the best 2012 has to offer. 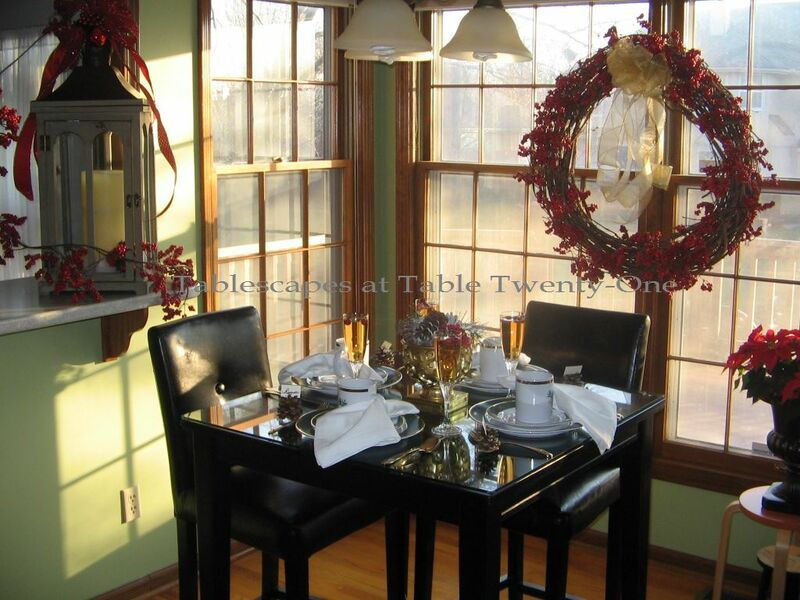 This is such a pretty winter tablescape, and I love the china you used. I’m going to have to look for some with that deep hunter green rim–very pretty. And what a super idea to put the napkins through the coffee cup handles–clever, and I am going to try that out this weekend! You are so funny–your comment over at my blog today made me laugh. Honestly, I’m not much of a crafter myself–I like the projects that are fast and easy the best 🙂 Take care and have a wonderful weekend–I’m off tomorrow (today!) to a Viewpoints acting class–I’ve got my toe in the door with a local theatre ensemble after auditioning last week,and one of the things I do is attend their training every weekend, which is really fun.